This is a local special that is only available for local delivery. 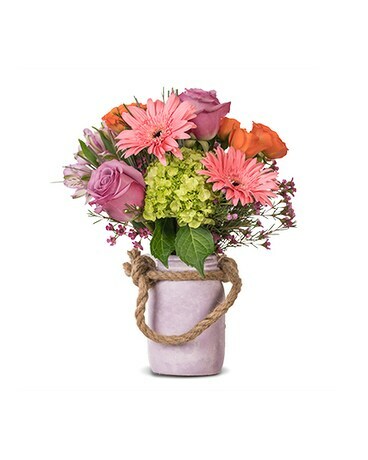 A charming arrangment with a touch of country including a rose, gerberas and hydrangea. Flowers and vase may vary.